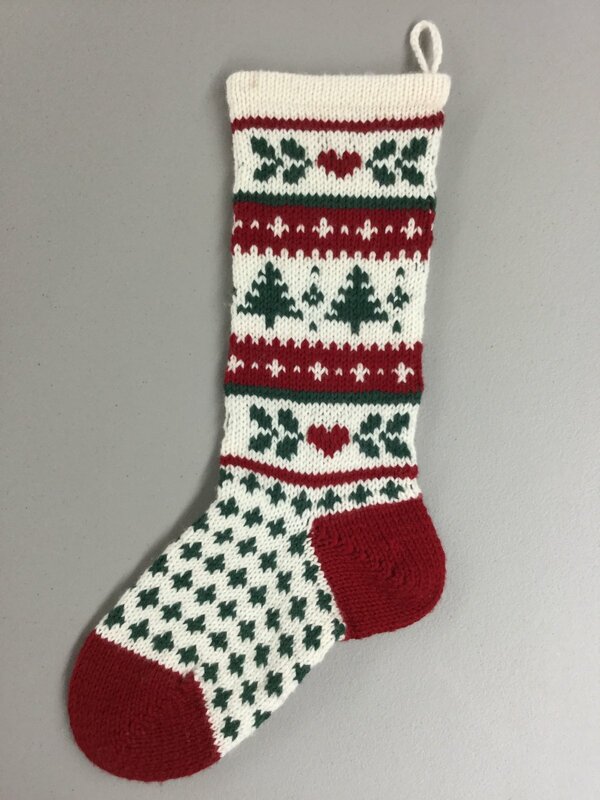 Get ready for Christmas with this traditional knitted stocking. You will learn fair isle techniques, duplicate stitching, short row heel, turned under top hem, and magic loop. Annie's Stocking Pattern, three skeins of Cascade 220 or equivalent worsted weight yarn.